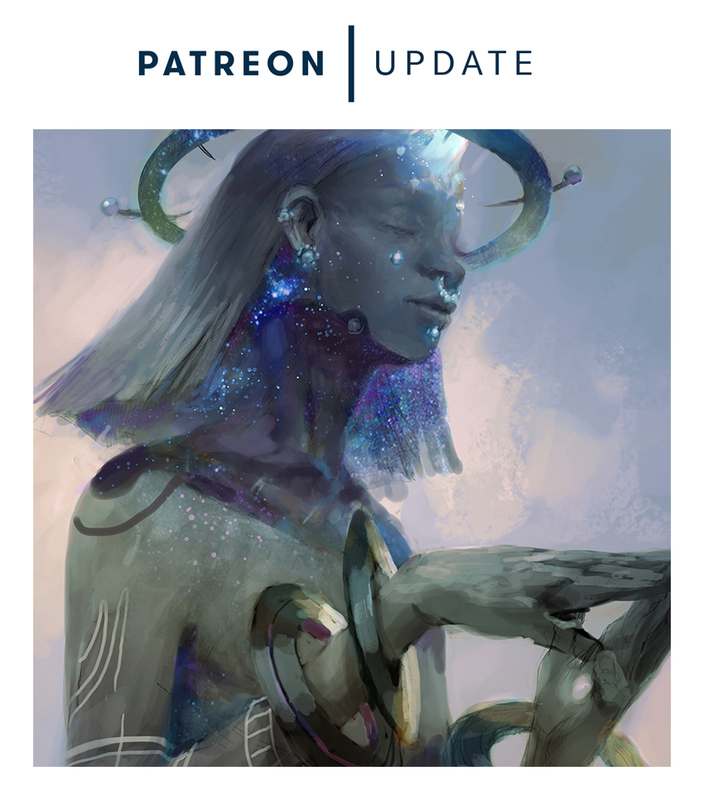 This month I'm working on the Angel of the Stars. Circling back on these familiar figures has been a joy. With much of the design work already established by his first portrait, I'm able to build on the themes behind Kokabiel's character. To me, Kokabiel represents a sort of escapism. In the first piece, he's looking to the heavens while water rises around him. This time around I wanted to pull the camera in closer and show a private moment as he loses himself in a beautiful moment. Every month, there's a different print available exclusively for members of the $30+ reward tiers. These prints are all sold out as Limited Editions and not available through any other means outside of our live events. Each print is 12x18 with a luster finish and is hand signed by Peter Mohrbacher. For October, we're offering Azazel, Angel of Sacrifices. Sign up before November 29th and you’ll receive a copy of this print in the mail!